V neckline; wrap front ties at sides. For in-store inquiries, use sku #2521241. 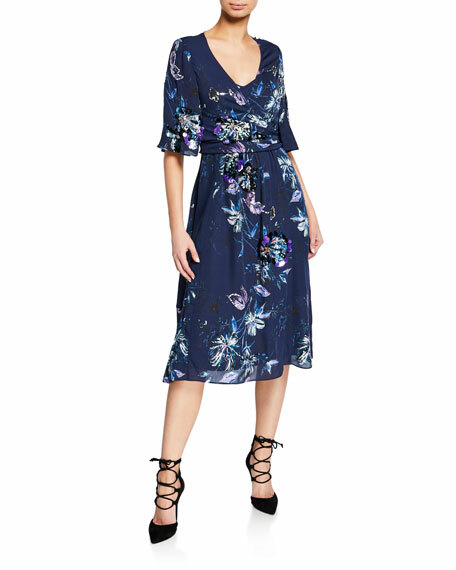 Adam Lippes viscose crepe dress. 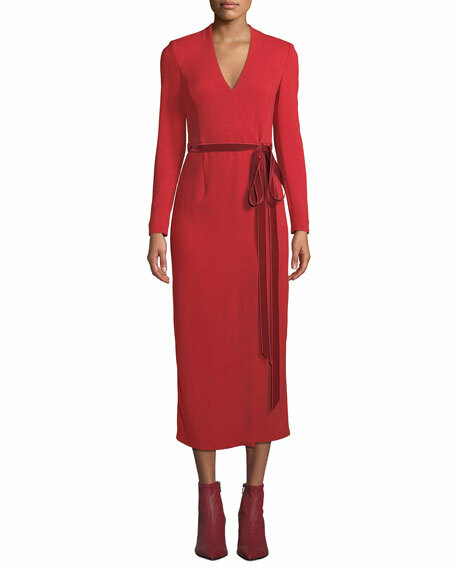 V neckline; wrap front with velvet self-tie belt. Long sleeves; fabric-button cuffs. Fitted silhouette. Midi length. Viscose/spandex. Lining, silk. Made in USA of Italian materials. 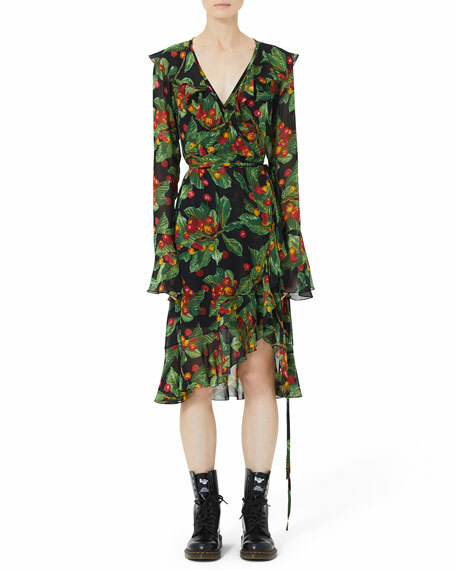 Altuzarra feather-print silk dress. Approx. 43"L down center back. Spread collar with ring detail. Long sleeves; button cuffs. Draped, wrap front. Yoked back. Midi length. Lining, polyester. Made in Italy. 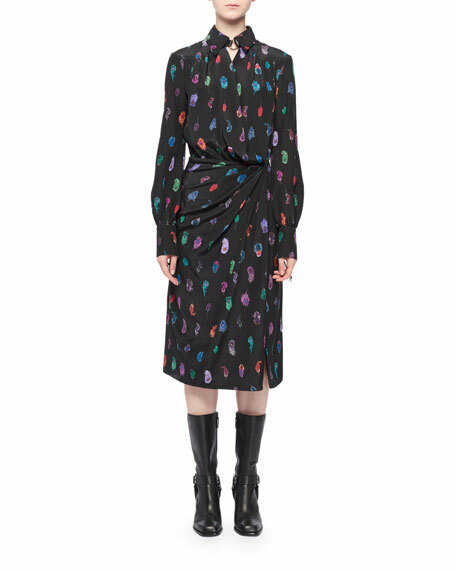 Kobi Halperin "Maria" printed dress with paillettes and a removable wrap for a sleeveless look. V neckline. Short sleeves. Tie waist wrap detail. A-line silhouette. Midi length hem. Silk. Polyester, lining. Dry clean. Imported. Marc Jacobs dress in cherry print-taffeta. Ruffle-trimmed surplice neckline. Long, bell sleeves. Self-tie sash cinches waist. A-line silhouette. Wrapped, ruffle trim skirt. Viscose. Cupro lining. Imported.